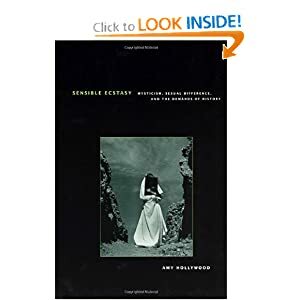 An Account of S[arah] Mallitt. Arminian Magazine XI (1788): 91-93, 130-133, 185-188, 238-242. Editor’s Introduction: Sarah Mallett (sometimes spelled Mallitt or Mallet) Boyce was born in Norfolk in 1761. Her father was a tailor and both of her parents were involved with Methodism. She received her first class ticket in 1780 and in 1785 she began to experience a call to preach. At first she resisted the call being, as she puts it, “no friend to women’s preaching,” but while convalescing at her uncle’s house in Long Stratton she was seized by a series of “fits” during which she preached coherently from various scripture passages. Soon large crowds were gathering to hear Mallett preach and by 1786 she was able to preach without going into a trance. A frequent correspondent of John Wesley, Wesley himself visited Mallett in 1786 and was impressed by her spiritual experience and call to preach. Though the Methodists officially followed the Church of England line against women’s preaching, Wesley believed Mallett possessed an “extraordinary call” and with his support, the 1787 Manchester Conference issued her a license to preach. The license itself read: “We give the right hand of fellowship to Sarah Mallet, and have no objection to her being a preacher in our connexion, so long as she preaches the Methodist doctrines, and attends to our discipline.” This written approval was highly unique and it in fact allowed Mallett to continue preaching long after Wesley’s death, and indeed even after the 1803 Conference officially banned women’s preaching. Mallett was also unique in the way she explicitly took and preached from a text of scripture – a style of preaching that had hitherto been almost exclusively male. 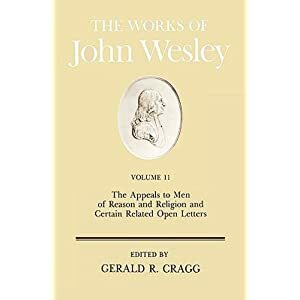 Nevertheless, in a series of letters in 1789, Wesley advised Mallett to “Never continue the service above an hour at once, singing, preaching, prayer, and all. You are not to judge by your own feelings, but by the word of God. Never scream. Never speak above the natural pitch of your voice; it is disgustful to the hearers. It gives them pain, not pleasure.” Clearly Wesley was concerned about how Mallett would be received in a culture so prejudiced against women’s preaching though she clearly was a powerful and effective preacher throughout her life. In 1793 Mallett married Thomas Boyce, a tailor and local Methodist preacher. Together they had four daughters (three of whom died) and two sons. After her husband’s death, she teamed up with another female preacher named Martha Grigson and the two of them travelled the country preaching in Methodist chapels for the rest of their long lives. 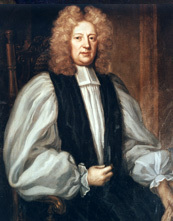 Mallett was also in frequent contact with Mary Tooth – Mary Bonsanquet Fletcher’s companion at Madeley – thus again illustrating the importance of these communities of women to early Methodism. Sarah Mallett Boyce died in 1843, at the age of 82, having preached the gospel for much of her adult life. An Account of S. MALLITT. 2. In May 1785, she came again to live with me. In September following, she was taken very ill, and grew worse and worse, till we had little hope of her life. But she was wholly resigned to the will of God, chusing neither life nor death. She grew weaker and weaker till the 15th of December, when she was seized with an uncommon fit: from that time all her other complaints ceased, but her fits returned every twenty-four hours, and often continued four hours at a time. They began thus. While we were talking together, she leaned back in her chair, and lost her senses, her eyes were wide open, her face like that of a corpse, her hands quite cold, all her limbs stiff and immoveable. On the 18th, we concluded she was dying: but then something ulcerated broke within her, and her fits took a quite different turn. She began to speak in the fit. The first words I heard her speak were, “Father, turn to God,” with several other words to the fame effect. In another fit, she earnestly exhorted her sisters to seek God in their youth. In the following fits her voice grew stronger and stronger. 3. On the 25th Mr. Byron came to my house, who entring the room, and seeing her sitting in her chair, and looking like one dead, he was so struck that he thought he should not be able to preach. Meantime she thought herself to be in the preaching-house at Lowstoff, before a large congregation; and that she took her text from Rev. iii. 20. Behold, I stand at the door and knock. 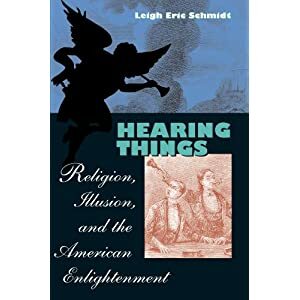 This discourse she preached in Mr. Byron’s hearing. The next day she preached again in Mr. Byron’s hearing, on John vii. 37. She continued to preach in every following fit, speaking clear and loud, though she was utterly senseless. 4. From December 29, her fits came every second day; from Jan. 15, every third day. I then called in some of the Society to hear her. She spoke on Mark xvi. 16. More of them came to hear her on the 18th day, and still more on the 21st. The thing being now known abroad, many were desirous of hearing her, and did so on the 24th: when a mixt company being present, she spoke from Isaiah lviii. 1. I then permitted all that would to come in; particularly on the 27th, when she preached an hour on 1 Pet. iv. 18. If the righteous, &c. On the 30th, she preached from Isaiah lv. 1. to about two hundred persons. From that time her fits left her, and she spoke no more. She had one fit more on the tenth of April, but did not speak one word. 5. Her fits frequently began thus. About five in the morning, she felt a pain in her stomach. Afterwards it seized her head. Then she lost her senses. In about an hour and a half she began speaking. When she had ended her sermon, she usually prayed about ten minutes. In about a quarter of an hour after, she began to groan, and then in a short time opened her eyes and came to herself. Her behaviour all the time she was with me was unreprovable. Indeed she adorned in all things the doctrine of God our Saviour. In a letter to me she writes thus: I was born on Feb. 18, 1768, at Loddon in Norfolk. I was much afflicted from my infancy: I began to seek God, when I was about nine years old: I was first struck while my mother was instructing me and my sisters. She asked me, “Who made you ?” I answered, God: and immediately fell an earnest desire to know who God was, and why he made me, and other creatures? This troubled me much, and my trouble so increased, that I was deprived of my sleep, and often past the night in weeping. I was frequently weeping in the day too; so that some thought I was going melancholy. One night as I was mourning by myself, the Lord took pity on me and revealed himself to me. In a moment all m sorrow was turned into joy, and I knew I was made to love and serve God. I heard at every opportunity; and under a sermon of Mr. Floyd’s the Lord revealed himself to me again, and I found a still increasing love to him and to his people. This continued about a year. I then was entangled with worldly acquaintance, but could find no happiness therein, my conscience still reproving me. I still attended the preaching and was often convinced: but in a little time I began to neglect private prayer. I then soon lost my love both to God and his people. Yet I still attended the preaching, though I had a particular dislike to the Preachers, and often sat with my back to them, that I might not see them. but still kept the devil’s counsel, telling no one how I had been tempted. 4. Being now near fifteen, I continued in this despairing state almost a year. I frequently wandered in the fields, seeking the most solitary places. When I rose in the morning, I expected to be in hell before night: in the evening I expected to be there before the morning. 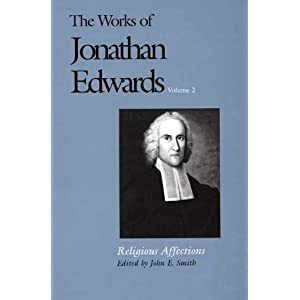 During this time, the Lord brought my mother to the knowledge of himself: and in the beginning of 1780, both my father and she desired to be members of Mr. Wesley’s society. This being the time for renewing the tickets, my father desired one for me, and told me, “I was a member of the society, and was to dine at Mr. Crisp’s, with the rest of the society.” After dinner one was saying, “If the Lord was now to come to judgment, I hope there is not one soul among us, who will not meet him with joy.” I looked round, and saw many of my family who had set their faces Sion-ward, and several of them at my instance: and I thought, now they are set out for heaven, I am again setting out for hell! Yet I thought, If there is mercy for me, I will not rest till I have found it. But I despaired of finding any, thinking that I had in me more than seven devils. However on Sunday I went to the Class. The Leader asked me, If I had a desire to serve God? I answered, I had; but I had no hope of finding any mercy from him. He told me, I must use much prayer, and I should find he had mercy for me. March 1781, I was removed back to my father’s. It was thought, I would die; but this gave me no pain; for death was more welcome to me than life. But after I had suffered much, it pleased God to give me a little health: till on the 28th of May, being at Mr. Lamb’s, at Hadderson, while we were at breakfast, feeling myself ill, I retired into the next room, and laid me down on the bed, losing my senses immediately. I thought I saw two angels, who shewed me the torments of hell, and the happiness of heaven. I would fain have staid there, but was told, I must go back; for there was work for me to do. About three o’clock I came to myself. In October I left Loddon, and went to live in a family, who had neither the power, nor even the form of religion: and afterwards at a dissenting Minister’s. Here I found the smiles of the world more dangerous than its frowns. Here I was almost persuaded to believe, “once in grace always in grace.” The cause of my leaning to this was, I had a darling sin, which I wanted to keep and go to heaven. But I cried earnestly to the Lord, and he delivered me out of the temptation. Yet not long after, I drank into the spirit of the world, and followed its fashions and customs. But this followed me close, “Is this the work thou camest back to do?” This roused my soul from its security; and I besought God, if there was no other way to wean me wholly from the world, that he would cast me into the furnace. In April 1782 I returned to Loddon, and the Lord answered my prayer by laying his afflicting hand heavy upon me for twelve weeks. After I was restored, I saw more need of walking closely with God, and in order thereto, broke off all intimacy with my worldly acquaintance. to my uncle’s in April 1784. Soon after the disorder was worse than ever, I felt not only sharp pain, but a severe conflict with the devil. He tempted me to have hard thoughts of God. But though my soul waded through deep waters, yet he suffered them not to overflow me, but manifested his love more abundantly to my soul. He visited me no more as a transient guest, but came and made his abode with me. 9. In May I was again removed to my father’s, seeming to be again near death. Meantime I found a strong desire, to exhort all who came in my way, to seek the Lord. And if any passed unnoticed by me, I had trouble in my mind. In the beginning of June, I was frequently taken with surfeits as I never had before. In these I seemed as one dying, my eyes being fixt and all my senses locked up. They came first every day, then every second day, and then every third day. In one of these the sinews of my left leg shrank; so that I walked on the tip of my toe. In February 1785, the fits left me, yet I continued lame. But I regarded it not, as I had an uninterrupted peace, and constantly enjoyed the love that casts out fear, and walked without the least intermission in the clear light of God’s countenance. 10. Thus I rejoiced evermore and in every thing gave thanks, till being one day beset by the enemy, I began to reason with him. I let go my shield, doubting whether I had received pure love, because I thought, if I had, I could not be tempted. Yea, I began to doubt whether I had ever known God at all. But I tried my experience by the word of God: and was convinced, there was no one upon earth that was totally free from temptation: and I resolved in the strength of God never to rest, till I recovered all I had lost. on my mind, to speak in public for God: and those words were continually before me. Reprove, rebuke, exhort! Nor could I by any means drive them out of my thoughts. But I could not bear the thought, having been in time past no friend to women s preaching. I therefore resolved never to do any such thing, be the consequence what it would. From that moment it seemed as if the powers of darkness overwhelmed my soul: and I was forced to withdraw from the family, and pour out my soul before God. I intreated a portion of his word, that I might know what to do! And opened the book on these words, No man lighteth a candle to put it under a bushel. Yet I struggled with the devil six hours before he fled from me; and I gave myself up into the hands of God; to do with me what he pleased. He then broke in upon my foul. And as the room seemed a little before to be filled with the powers of darkness, it seemed now filled with the glory of God. I spent that night in prayer and praise. One of my sisters, being in the room with me, bid me hold my peace. But I told her, If I held my peace, the stones would cry out. I then shewed her the need she had of a farther work in her own soul. And she cried unto the Lord for a clean heart, and received the petition which she asked of him. burden upon my mind, not seeing what I came thither for: for I still reasoned against the conviction which followed me, That I must speak in public. Meantime my soul was filled with darkness and distress: while I was more and more convinced, that I ought to speak for God. I had none to reveal my mind to, and I knew not how to begin, being kept back by fear and shame. Many times my eyes gushed out with tears, because men kept not God’s law; many times I said, O that my head was water, and mine eyes a fountain of tears, that I might weep day and night for the sins of my people. 13. In September the Lord visited me again with affliction, the particulars of which my uncle has given you better than I can do. For during my fits I was utterly senseless: but when I came to myself I could well remember, the place where I had been preaching, and the words I had been speaking from. I grew weaker and weaker, and expected to die soon; but death was a welcome messenger: and the foretaste of those joys to which I thought I was just going, took off the edge of my pains. In my sharpest pains I thought, what is all this to what I should have suffered, had not the Son of God suffered for me? And I continually said, “Lord, give me thyself, and then deal with me as thou pleasest!” In this affliction He weaned me from the creature, from all created good: so that the world was utterly dead to me, and I unto the world. at first. But the Lord gave me strength and loosed my tongue. At this Satan was much displeased. I had fighting without and within. Professors and prophane seemed engaged against me. And I had no earthly friend to give me any encouragement, but those with whom I lived. These words had followed me for near a year, Ye shall be hated of all men for my name’s sake: and so did those, Fear not: for I am with thee: be not afraid: for I am thy God. I will strengthen thee, yea, I will help thee: will uphold thee with the right hand of my righteousness. 16. I was now appointed to speak in my uncle’s house, every other Sunday evening. The Lord gave me light and liberty, and I had great peace in my soul, and more nearness to God than ever. I walked continually in the light of his countenance: and sometimes meditating on the dying love of Jesus to a guilty world, I have had such manifestations of his love to my soul, as were more than my body could bear. ask of God – and it shall be given him. During these temptations I scarce knew what it was to have one whole night’s sleep in a week. Sometimes also my soul was so engaged with God, that my sleep departed from me. And sometimes I spent whole nights in reading, chiefly the Holy Scriptures. I see I can stand no longer than I stand in Christ. If he left me a moment to myself, I should fall a prey to every temptation. But I see such fulness in God, and such beauty in Christ, as makes me long for more acquaintance with him. before the Lord, and looked to Him for strength. As soon as I begun speaking, the darkness fled away, and the Lord removed my pain, and gave me light and liberty with a particular blessing to the people. And let it faint and die! But I was willing to go, or willing to stay, just as the Lord should please. December 4, being much better, I designed to preach; but the pain in my head returned with such violence, that I was not able to lift up my eyes. This troubled me much, lest the people should be disappointed. I intreated the Lord, if it was his will to remove the pain. Before I had given out the first hymn, it was all gone, and the Lord gave a blessing both to me and the people. prayed for, namely. That I might resign my breath, in calling sinners to repentance. But I recovered in a few hours, and gave an exhortation in the evening. And I thought, if I had many lives, I would give them all for Him, who gave his own life for me! Tolar Burton, Vicki. Spiritual Literacy in John Wesley’s Methodism: Reading, Writing, & Speaking to Believe. Waco, TX: Baylor UP, 2008.